This HP measures 33 x 45 x 19 cm and is suitable for carrying a number of items with ease. It is designed with two zip closure pockets for convenience. There are two short handles and one handle that allow users to carry it as per convenience. This messenger bag is made of good quality polyester material that will ensure durability. 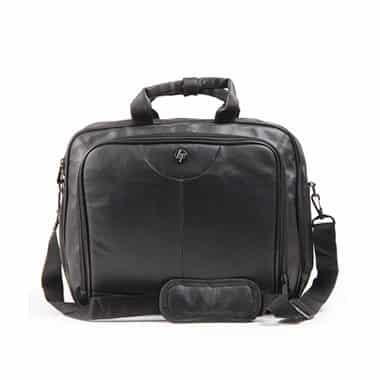 This HP Messenger Laptop Bag, being made of polyester, is easy to maintain. In case there are any marks or stains, you can rub the area with a soft piece of cloth dipped in soapy water. It is advisable not to use any harsh chemical or belching agent to clean it.